The judgement is replete with references to “developments” underway in this area of public international law, and it ends with a somewhat ambiguous warning that this was a matter which needed to be kept “under review” by Contracting States. Quite what this means is not clear, but the fact that Strasbourg has reached a similar view to the UK high court in the similar case of Belhaj on state immunity a few weeks ago suggests that the doctrine of state immunity is alive and well and certainly not in retreat (see my previous post on that case). If this area of international law is indeed “in a state of flux” the emerging international consensus is a pragmatic one. There does not seem to be much appetite for favouring a restriction on immunity even in cases of “torture”, however that is defined, at least where civil actions are concerned. Four British nationals who alleged that they had been tortured in Saudi Arabia complained about the UK courts’ dismissal for reasons of state immunity of their claims for compensation against Saudi Arabia and its officials. In 2002 one of the claimants, Mr Jones, brought proceedings against Saudi Arabia’s Ministry of Interior and the official who had allegedly tortured him claiming damages. His application was struck out in February 2003 on the grounds that Saudi Arabia and its officials were entitled to state immunity under the State Immunity Act 1978. A claim by Mr Mitchell, Mr Sampson and Mr Walker against the four State officials that they considered to be responsible for their torture was struck out for the same reason in February 2004. The applicants appealed the decisions, and their cases were joined. Although they were successful in the Court of Appeal, that decision was overturned by the House of Lords in June 2006, which held that the applicants could not pursue any of their claims on the ground that all of the defendants were entitled to state immunity under international law, which was incorporated into domestic law by the 1978 Act (Jones v. Ministry of the Interior of the Kingdom of Saudi Arabia and another  1 AC 270). The Court recalled that everyone had the right under Article 6 to have any legal dispute relating to his or her civil rights and obligations brought before a court, but that this right of access to court was not absolute. States could impose restrictions on it. 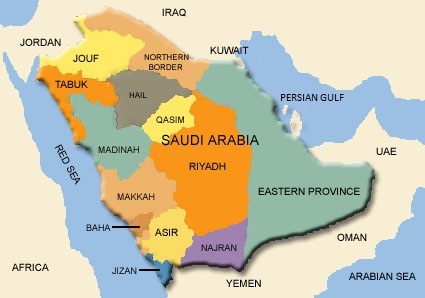 In this case, the Court found that the granting of immunity to Saudi Arabia and its State officials in the applicants’ civil cases reflected generally recognised current rules of public international law and had not therefore amounted to an unjustified restriction on the applicants’ access to court. The House of Lords had considered the applicants’ arguments in detail in Jones and dismissed them by reference to the relevant international law principles and case-law. That judgment had been found to be “highly persuasive” by the national courts of other States. The Court referred to its judgment of 2001 in the similar case of Al-Adsani v. the United Kingdom (no. 35763/97). There the Grand Chamber had explained that sovereign immunity was a concept of international law under which one State should not be subjected to the jurisdiction of another State. Consequently, granting immunity in civil proceedings pursued the legitimate aim of complying with international law to promote comity and good relations between States through the respect of another State’s sovereignty. That being the case, the decisive question when examining the proportionality of the measure was whether the immunity rule applied by the national court reflected generally recognised rules of public international law on State immunity. In Al-Adsani, which concerned the striking out of a torture claim against Kuwait, the Court had found it established that there was not, at the time of its judgment in that case, acceptance in international law of the proposition that States were not entitled to immunity in respect of civil claims for damages concerning alleged torture committed outside the State. The Court therefore found, when it applied the approach to proportionality set out in Al-Adsani to the appellants’ case, that the restrictions on access to court arising from state immunity had been in conformity with generally recognised rules of public international law. As concerned the claim against the Kingdom of Saudi Arabia, the Court had to decide whether it could be said that at the time Mr Jones’ claim had been struck out (in 2006) there was, in public international law, an exception to the doctrine of state immunity in civil proceedings where allegations of torture had been made against that State. The essential question was whether there had been an evolution in accepted international standards on immunity in such torture claims lodged against a State since Al-Adsani. For the Court, the conclusive answer to that question was given by the judgment of the International Court of Justice in February 2012 in the case of Germany v. Italy, where the ICJ had rejected the argument that a torture exception to the doctrine of state immunity had by then emerged. The Court therefore concluded that the UK courts’ reliance on state immunity to defeat Mr Jones’ civil action against Saudi Arabia had not amounted to an unjustified restriction on his access to court. Therefore there had been no violation of Article 6(1) 1 as concerned the striking out of Mr Jones’ complaint against Saudi Arabia. As concerned the claims against the State officials, again the sole matter for consideration was whether the grant of immunity to the State officials reflected generally recognised rules of public international law on state immunity. After an exhaustive analysis of national and international case-law and materials, the Court took the view that state immunity in principle offered state officials protection in respect of acts undertaken on behalf of the State in the same way as it protected the State itself; otherwise, state immunity could be circumvented by the suing of named individuals. The bar against the applicants’ civil claims reflected generally recognised current rules of public international law and had not therefore amounted to an unjustified restriction on their access to court. Accordingly, there had been no violation of Article 6 (1) as regards the applicants’ claims against named State officials. Judge Kalaydjieva expressed a joint partly dissenting opinion and Judge Bianku expressed a concurring opinion. Of the many cases militating against the erosion of state immunity, the Strasbourg Court noted in particular the Polish case of Natoniewski v Germany (Ref. No. IV CSK 465/09, 29 October 2010, translated into English in  Polish Yearbook of International Law 299). Here the claimant commenced civil proceedings in respect of injuries suffered because of the actions of German armed forces during World War II. The Polish Supreme Court dismissed the claim on the basis that Germany enjoyed immunity. As to the argument that state immunity did not apply where there had been an alleged violation of fundamental norms of international law, the court acknowledged that there my have been a “trend” in international and domestic law towards limiting State immunity in respect of human rights abuses, but this practice was “by no means universal”. It seems that such a trend is not moving so far as to undermine respect for state sovereignty. In her excellent piece on this case, Philippa Webb at EJIL recalls that in the the most recent edition of The Law of State Immunity, published “a mere five months ago”, she and Hazel Fox QC had observed that ‘the alignment between State immunity and the immunity of State officials appears to be shifting’ (Chapter 18). We suggested that the ICJ’s rejection in the Jurisdictional Immunities of an expansion of the restrictive doctrine of immunity to include acts in violation of jus cogens norms reverts, in respect of State immunity, to its absolute nature in respect of acts committed during armed conflict. But, we noted optimistically, the ICJ expressly confined its ruling to the State ‘leaving the law on the immunity of State officials in respect of the commission of the same acts to develop independently’. That optimism turns out to be unfounded, and Jones v UK has, in Webbs words, “put the brakes on the independent evolution of the immunity of State officials by re-integrating or re-aligning that immunity with that of the State”. It may seem odd, as Webb points out, that immunity is regularly waived for commercial activities, personal injuries committed in the forum state, and employment disputes, but “remains firmly in place when torture is committed.” But the brutal fact is that “torture” is a subjective concept is shot through with concepts of morality that differ from nation to nation. A sovereign state which happily submits to arbitration by a foreign court matters relating to employment or commercial disputes will recoil at another nation’s courts questioning the “legality” of the actions of its police or intelligence agents. The EJIL post maintains that the distinctions being drawn in immunities cases – civil/criminal, procedural/substantive, employment/human rights – “are hard to reconcile with broader movements for accountability at the international level.” Whilst that may be so, judicial avenues are not the only, or indeed not even the most appropriate means to secure this accountability. There are better ways of holding states to account for the misdeeds of its officials, via diplomatic and political channels. The proliferation of individual claims in national courts with respect to the illegality or otherwise of state-sponsored action can only lead to a patchy and inconsistent jurisprudence, unpunished perpetrators and, on the whole, disappointed claimants. If one thing is more certain than another it is that if these claims had been pursued to judgment the judgment would have gone unsatisfied. Saudi Arabia would not have paid on its own behalf or on behalf of its agents. Immense damage could be done to British interests in the area with no benefit to anyone – it is not the function of the courts to provide anyone with a moral victory. The actions seem to fall within the words of CPR rule 3 point whatever it is: no reasonable grounds for bringing the action.